Parallels Plesk Panel permits the server administrator to set up the new websites, email accounts, reseller accounts, DNS (Domain Name System) entries and much more with the help of the web-based interface. The administrator will be able to create client and website templates, that predetermines the resource-allocation parameters for the domains and the customers. Step-1: Log into your Account Center. Step-2: Click on the Admin option for your Dedicated server. 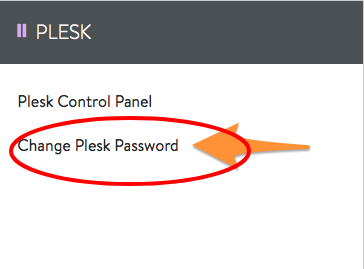 Step-3: Click on the Change Plesk Password option. Step-4: Type your new password two times and then click on Change Password to make the changes. Make sure to meet all the password requirements only on the right, which will turn into green when met. If any of them are not merged, the Change Password button will not be able to light up. Step-1: Connect to your server through SSH.